Super DIY projects right here! Dampen a large paintbrush with water and sweep in a wave pattern around the bottom of the glass bowl or the shade. Once the paint dries dot the waves with more pain in alternating colors. For dots that blend paint them with edges touching. 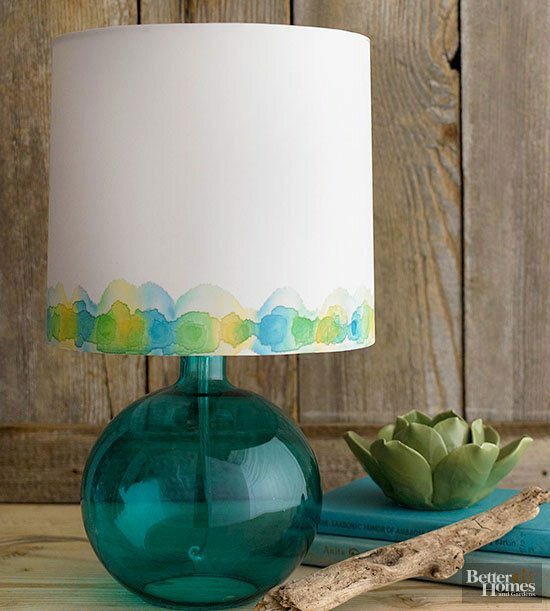 Use watercolor for paper lampshades and fabric paint for fabric shades. 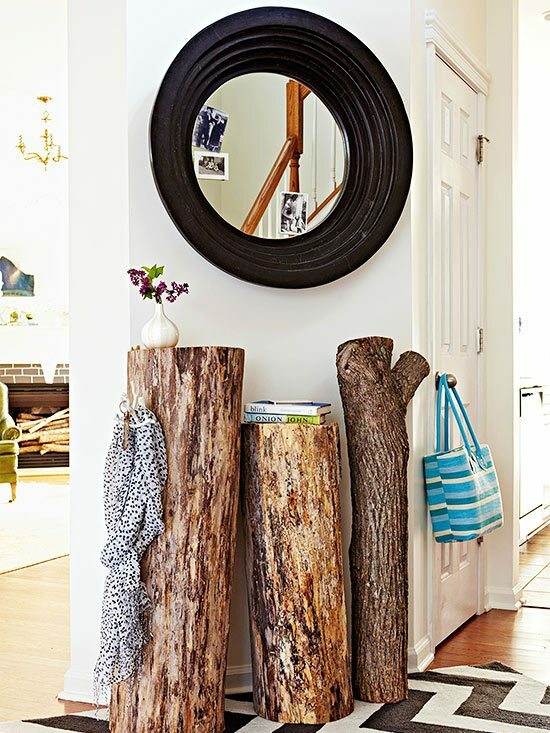 Craft a simple prop table with logs. Cut them in sections that are ideal lean against a wall. Smoothen the exterior with sand paper or a palm sander. 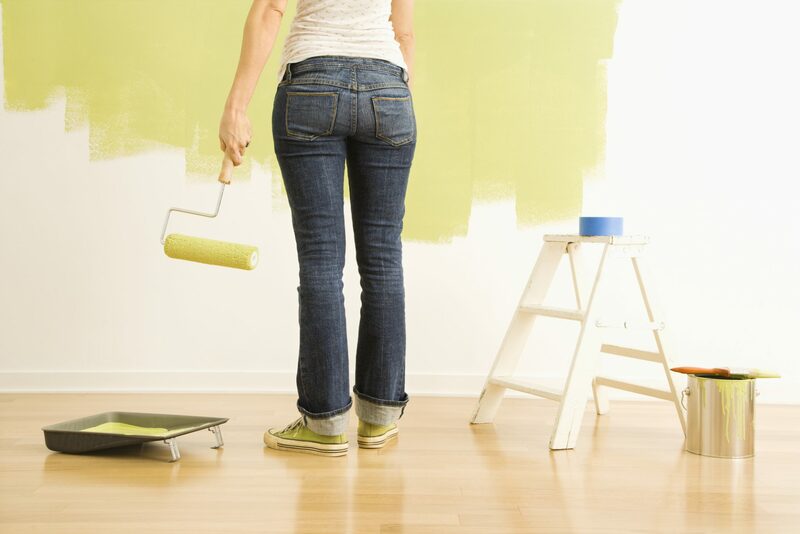 Apply a clear coat to seal the wood. Visit the nearest fleamarket and secondhand stores. Target ones with artwork. 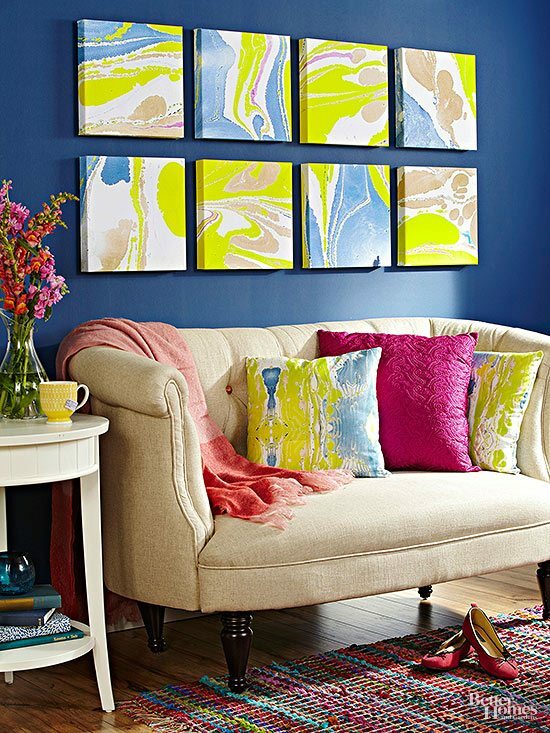 The art might not interest you but if the frame catches your eyes, simply discard the paintings and arrange them on a blank wall and pain the frames in fun colors to match your interior décor. Cut an old globe in half with a utility knife. Be careful when you do this. 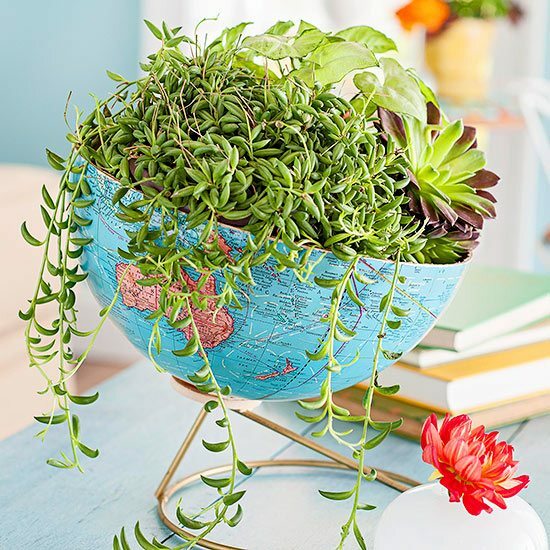 Rest the “hemisphere” on a plant stand or on a drainage dish to keep it upright. Do you think marbleizing is hot! It is also an easy DIY technique by the way. For the canvases on the wall you can scan them and send the designs to a print center to be printed on canvases. 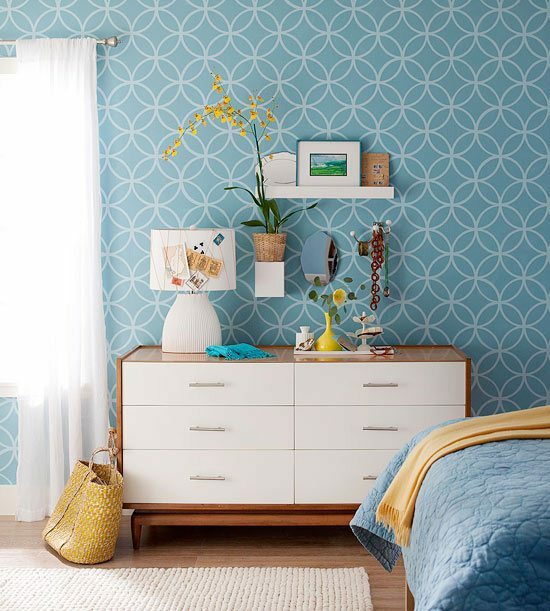 This is less time-consuming than stenciling a whole room and the great thing is you will much less paint and effort. 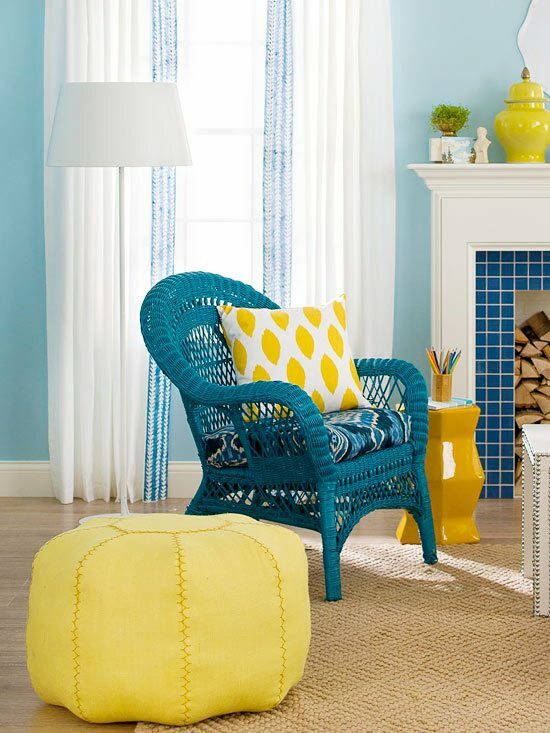 Use a color the pattern that is just a few shades lighter than the background. Choose a classy pattern to your wall. 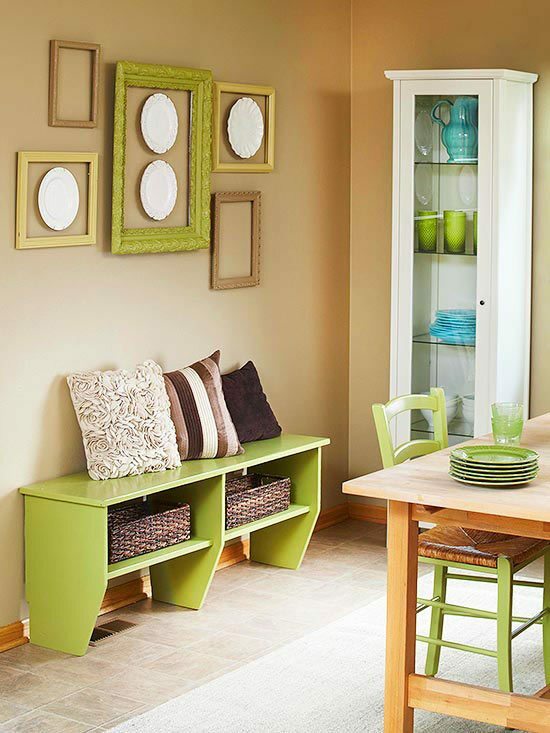 Add extra seating or a footrest to any room. Learn to do it on your own right here.